Mother nature just dropper her third - THIRD - blizzard on us this week. 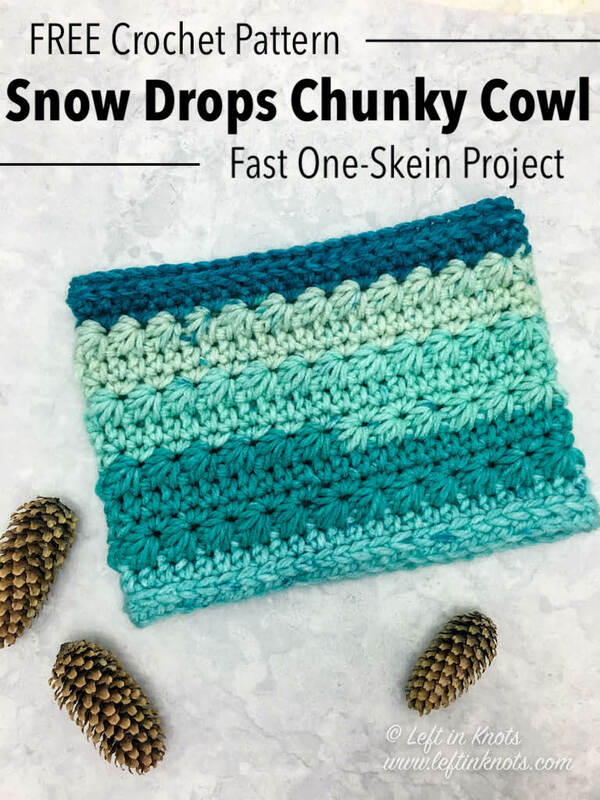 To name this a “snow drops” cowl feels much too mild, but with that distinct star stitch and aqua color palette - this cowl is clearly the next free crochet pattern in my Snow Drops Pattern Collection. You just need some chunky (category 6) yarn, a big hook and about an hour to make this beautifully textured cowl. Keep reading for the free crochet pattern. 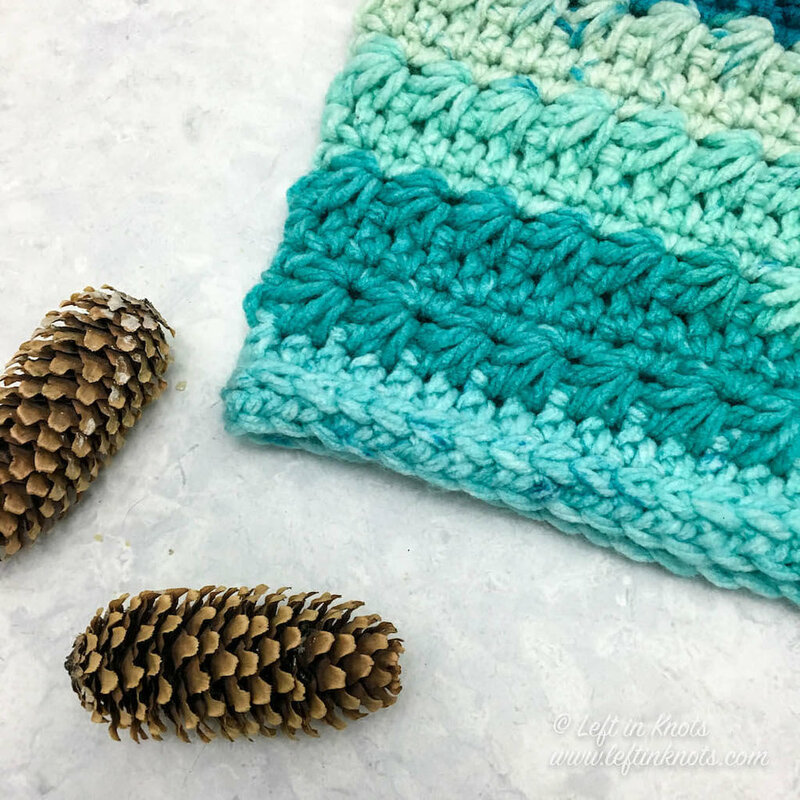 My Snow Drops Crochet Pattern Collection is my most popular by far and includes a triangle scarf, slouch hat, mittens, ear warmer, and messy bun hat. These patterns were all designed with Caron Cakes in the lovely colorway ‘Faerie Cake’. Fortunately, the wonderful folks at Yarnspirations also decided to release a similar color palette for their Caron Chunky Cakes which is called ‘Blue Moon’. This yarn is a category 6 ‘Super Bulky’ and that mean’s you can make this cowl in no time! You can adjust the width of this finished cowl by adding or subtracting FHDC sts in the first round. You should always start with an odd number of stitches. Round 3: ch 2, make the first star stitch of the round and continue with star stitches around. When you reach the end of the round, HDC in the last st of the round (this will have already been worked into by the previous star stitch) (25 stars + 1 HDC).